This crossword is not too hard but needs some basic knowledge in Arabic language. All the words' puzzle that used here are Arabic adjectives, prepositions, colors and simple other words. If you are a beginners in Arabic language, this crossword is design for you. How is this crossword is different than other crosswords! First this: Although all the clues are written in English, you have to fill the crossword with only Arabic words (letters). That is why most the answers are placed in the grid from right to left, as in Arabic Language, (except of two words that should be written backward). However, there still answers that placed from top to bottom. 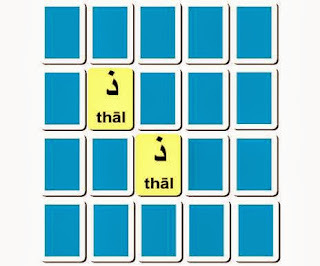 As you know, the shaded squares are used to separate the words or phrases. 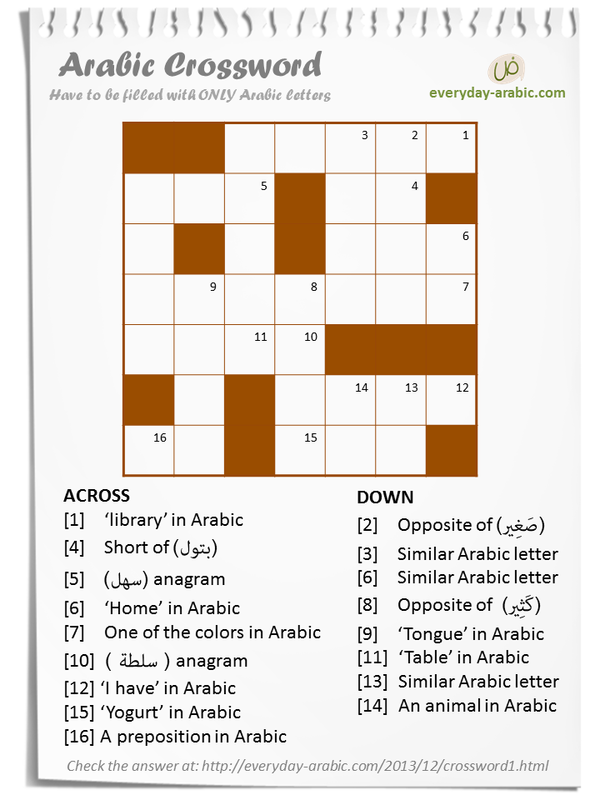 The goal is to memories your Arabic knowledge and have some fun solving crossword. Start with printing this worksheet from pdf link (SlideShare) and you can see the correct answer viewing this link. Your feedback about this worksheet is valuable to us. Please leave a comment or contact us. If you enjoy solving this Fun Worksheet, please share it with your friends or who might be interested in. 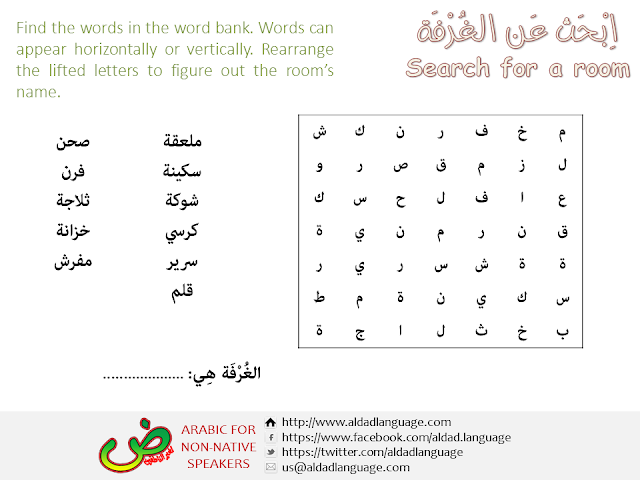 It is a fun worksheet to practice on Arabic words. As you can see the words are hidden in word bank. After you eliminate all the words, there will be one more hide. You have to rearrange the lifted letters to figure it out. All the used words are for things in house. The one that we are looking for is a house's room. 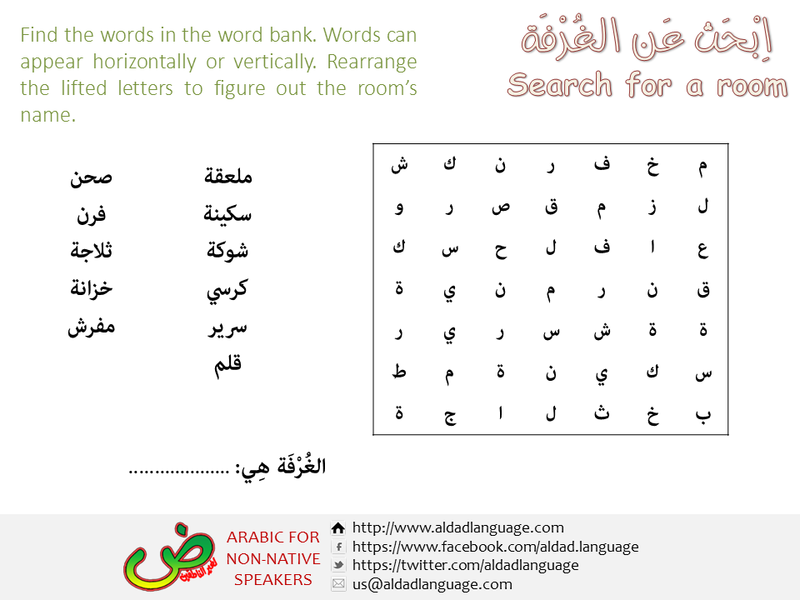 This worksheet is suitable for beginner level in Arabic learning which is a fun way to remember few Arabic words. Learn the Arabic Alphabet Video&Audio.